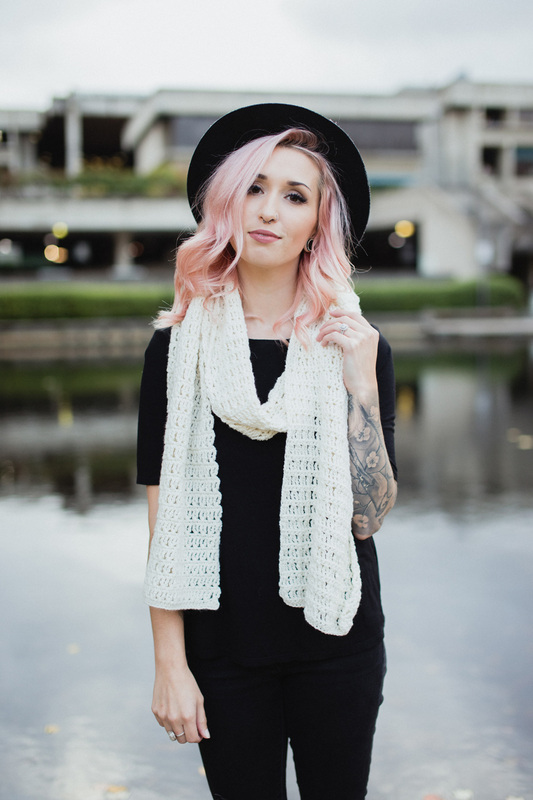 Who says scarves are only for fall and winter? 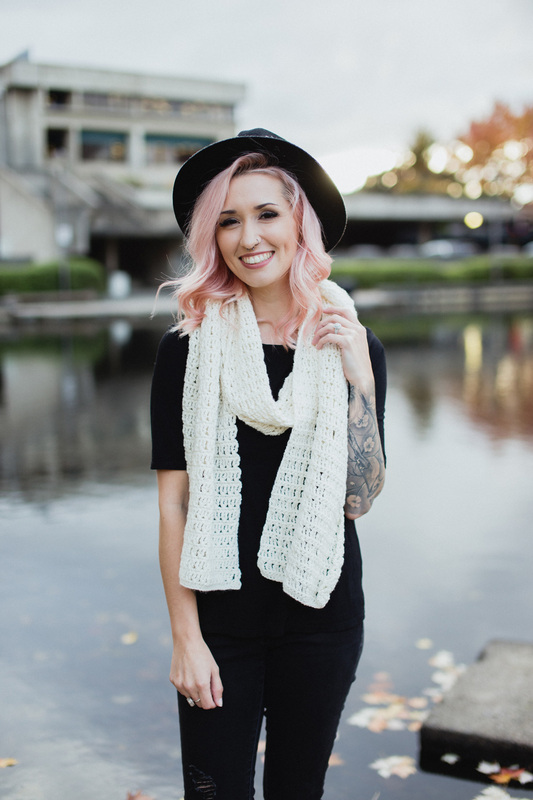 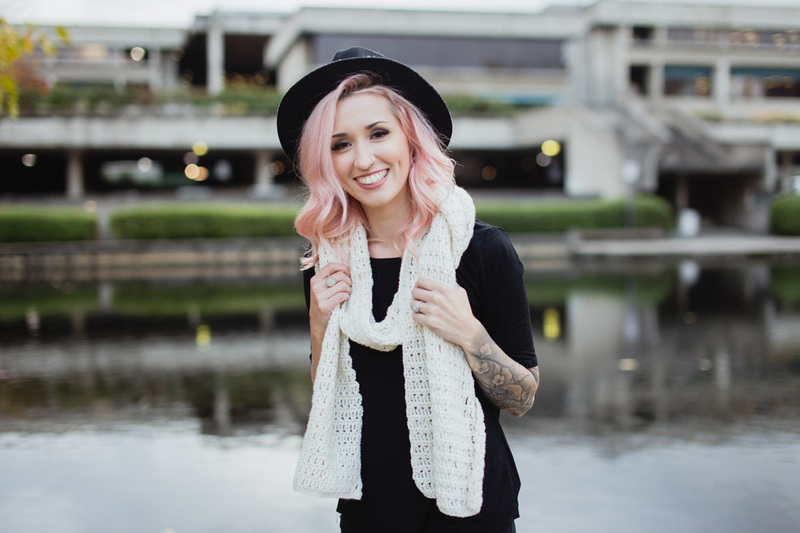 This lightweight and breezy scarf is perfect for all seasons! 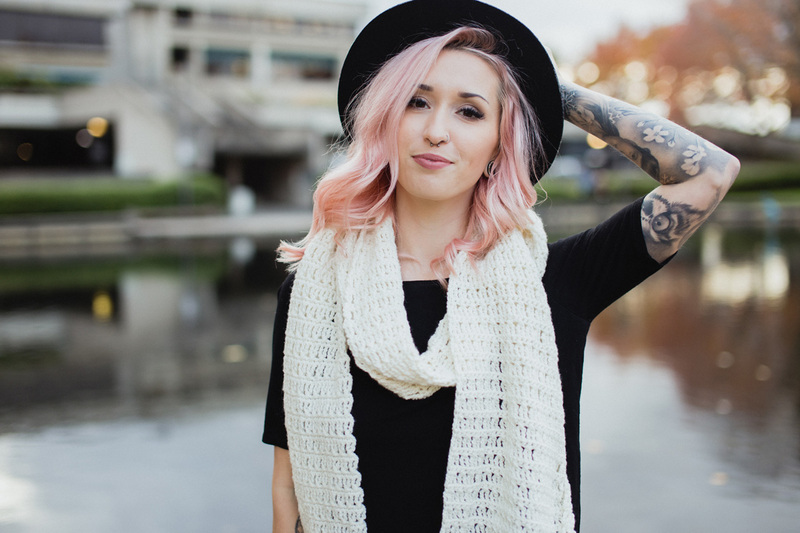 From wandering through the cherry blossom trees, to visiting the snowy mountains, Jacinta is there to keep you cozy. 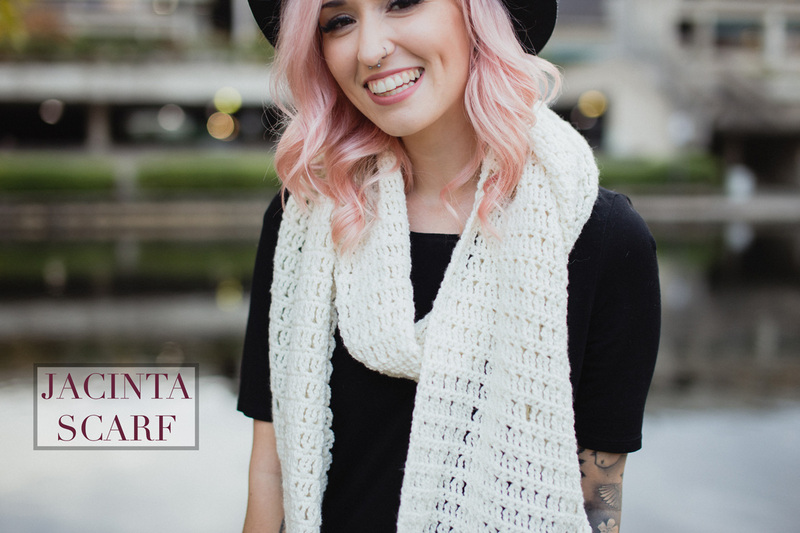 Easy stitches worked in a fun, new way, this is going to be your favorite Netflix and Crochet project!